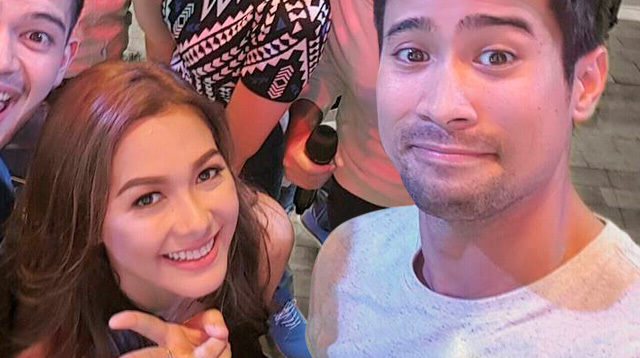 Did Sam Milby Try To Court Maja Salvador? Headlines, hot news, and conversation starters on November 17, 2015! 2 Speaking of Maja Salvador! The former Cosmo cover girl held her very own concert at the Mall Of Asia Arena on November 13, Friday. Unfortunately, the show—entitled Majasty—wasn’t well-attended, prompting organizers to ask audience members seated in the bleachers to move down to lower seats. Despite this, Maja soldiered on and delivered a solid show, calling it the “best night” of her life. 4 How good does Kate Hudson look on the cover of Harper’s Bazaar? The 36-year-old actress fronts the magazine’s fashion issue where she talks about being single and a mother. Well, there goes those Nick Jonas dating rumors, we guess? P.S. Not that we need to mention or anything, but how good-looking is this family? !